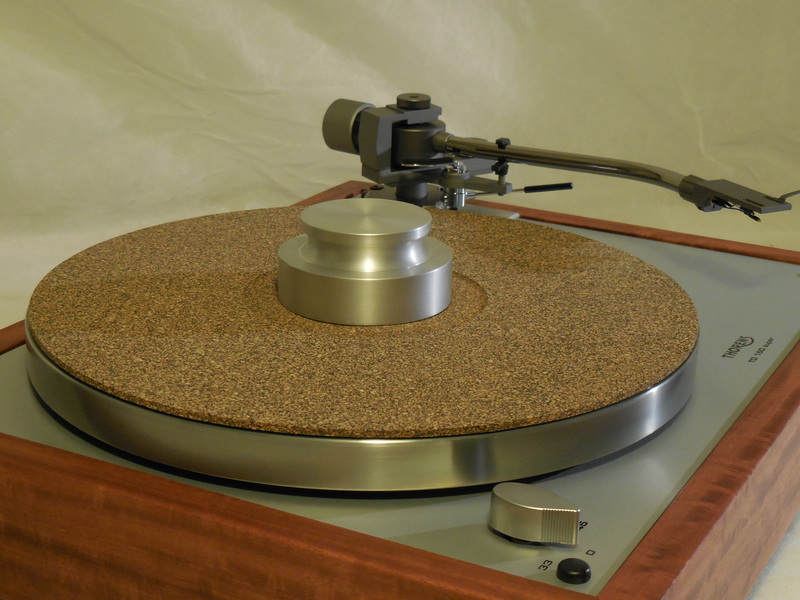 What makes this week’s offering EXTRA special is the custom plinth in solid 3/4″ solid Santos Mahogany. I just love 3D graining of this plinth. 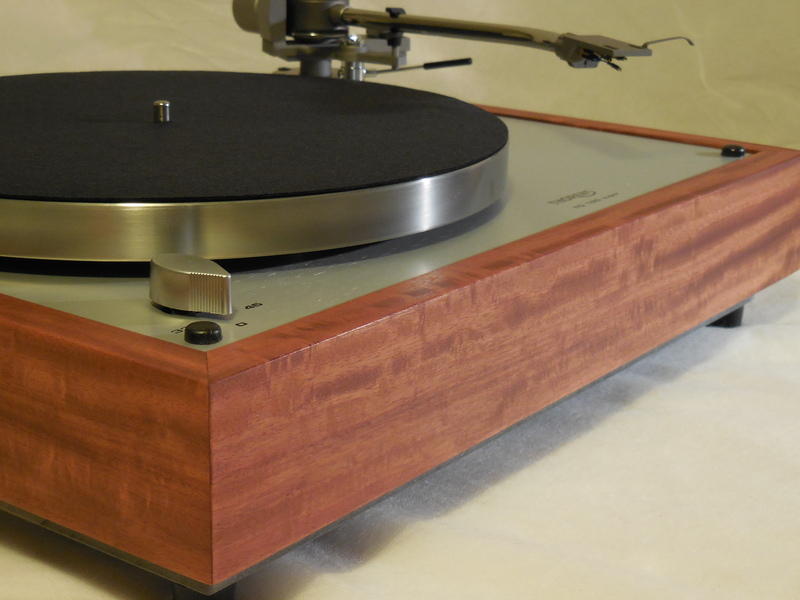 We’ve done a lot of turntable in Santos Mahogany, but this is my favorite by far. As gorgeous as this looks in the photos, it is even more so in person. The custom plinth was crafted by a finish carpenter/cabinet maker with over thirty years of experience. 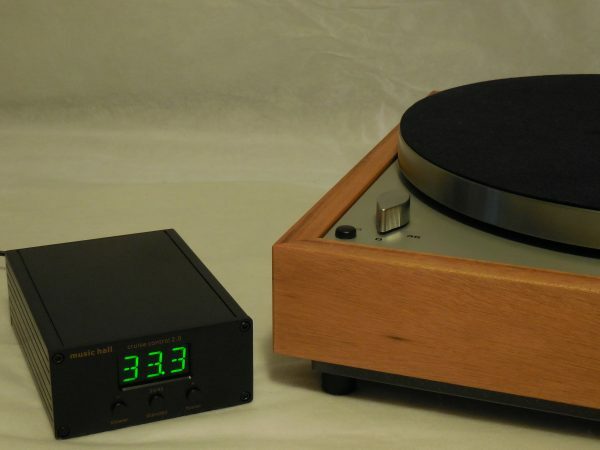 It was finished in mulitiple coats of Tung oil finish. As mentioned above, the custom plinth is substantially more dense and heavy than the stock plinth. A 3/4 inch mdf bottom also adds mass. 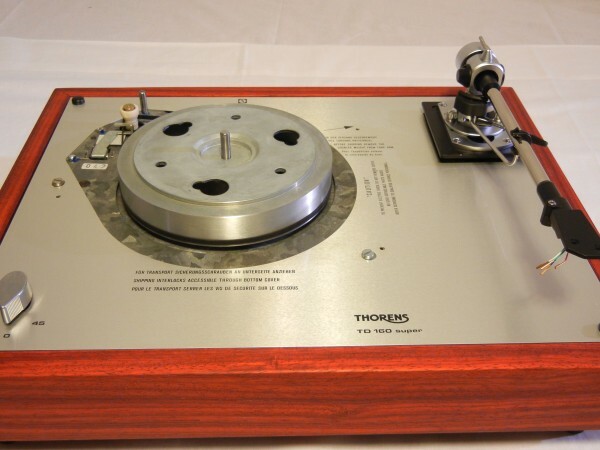 I had original Thorens TD-160 Super springs reverse engineered and manufactured by one of the premiere spring makers in the US. Every Super will now have the old springs replaced with this new replacement spring kit. 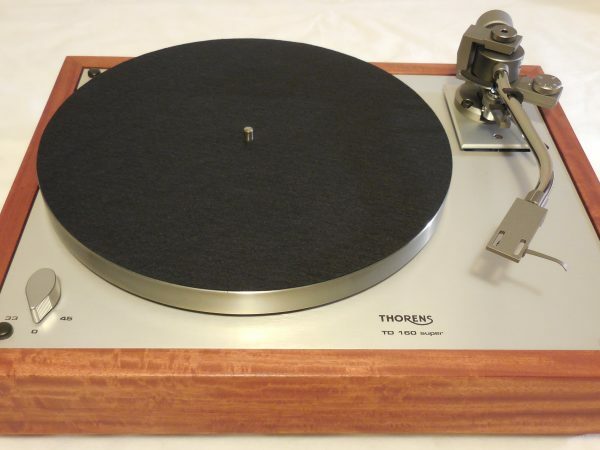 Likewise, I have sourced damping rings for the platter bearing well and the original Thorens motor. 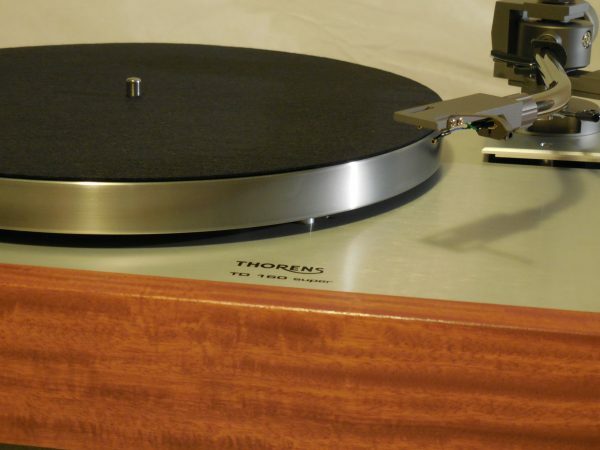 These damping rings help eliminate unwanted resonances from reaching the tonearm and platter shaft. 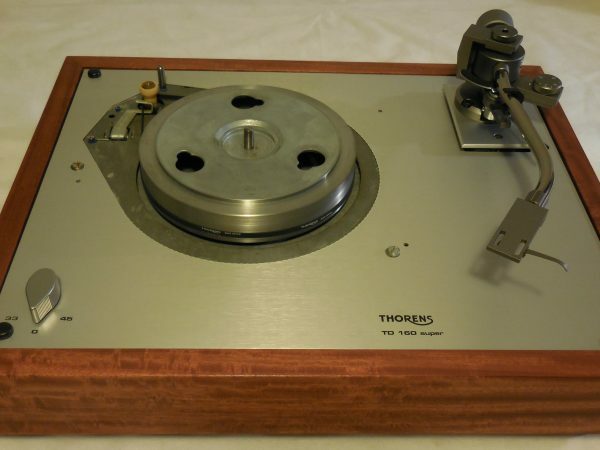 You can read more about the Thorens motor and platter bearing well damping rings here. Music Hall Cruise Control II adds $299. 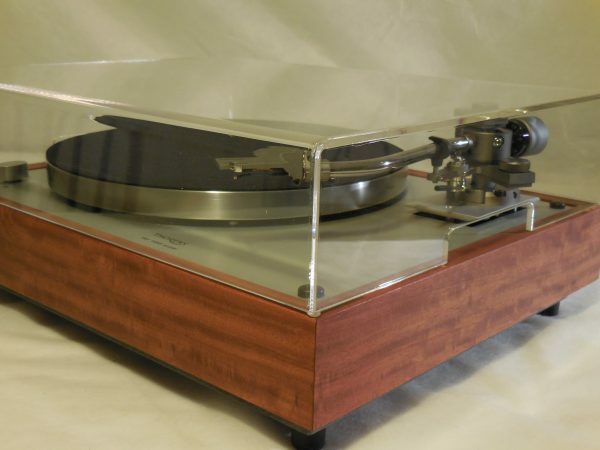 Shown here with another turntable.